Owen Walker is an experienced, awardwinning financial journalist, who has covered business and investment issues in the US, UK and continental Europe. He was formerly managing editor of Agenda, a Financial Times publication for US corporate directors, where he saw a number of boardroom battles first hand. He is now a commissioning editor within the FT’s Special Reports team in London. 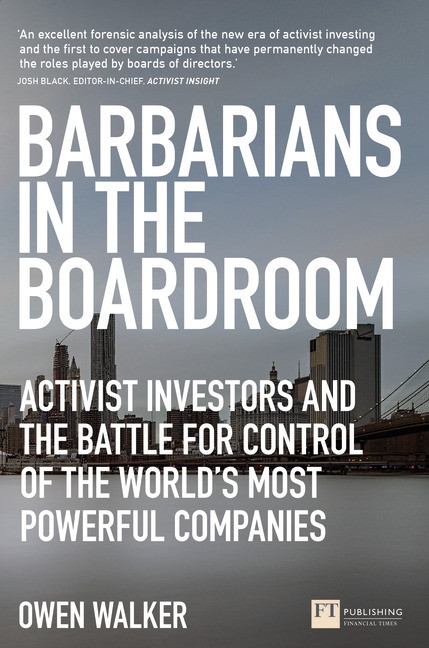 · "A great guide to how activist investors work - essential for corporate directors, investors and anyone with a passing interest. Filled with insights into a number of the most high-profile personality clashes and boardroom battles."